As new employees are hired, and they attend the office or work for the first time, the first day they will have to be inducted. 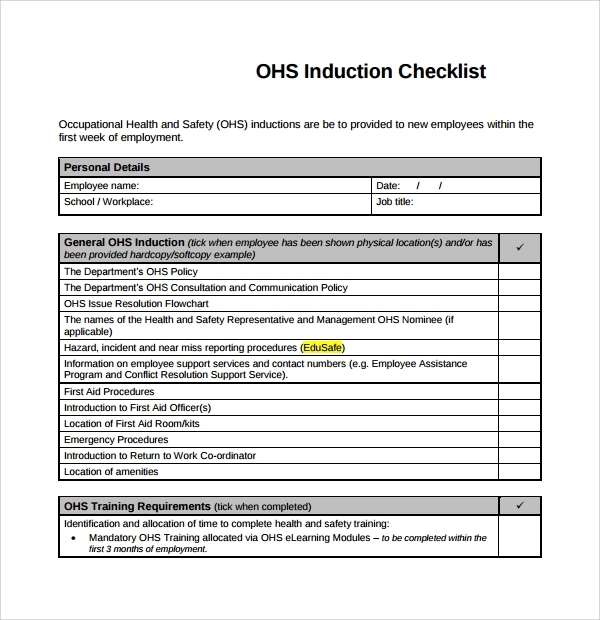 This is when you need a careful guidance through a checklist as the inducting officer to complete the job. 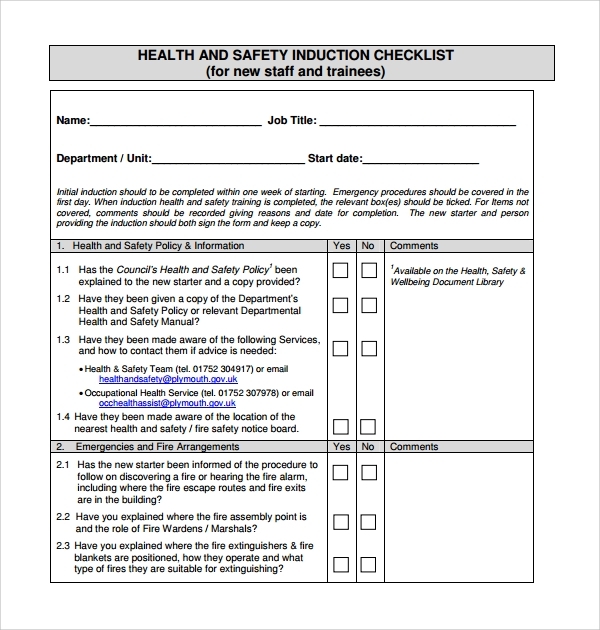 With the help of a checklist, you will not miss on any point while talking to the new employees and you will not face any embarrassment in front of the new stuff for forfeiting points under sheer pressure. 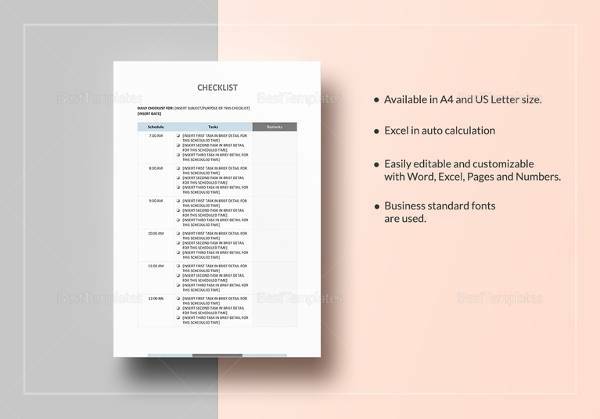 The To Do Checklist Template will guide you through as it will also save your homework on preparing the checklist itself. These templates are to guide you as you are running through staff induction in our office or business. When staffs are inducted they need to be made comfortable with fellow stags and the new joined ones. 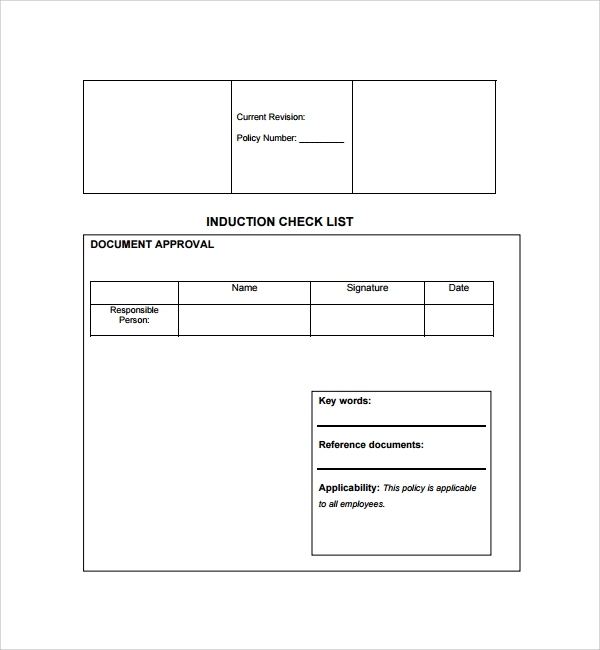 To help the session go better and smoother, a checklist will help you remember all things to be done. If you have some new contractors, with whom you are going to go into a venture, then the induction with them will be different than the general staff induction style. To guide you through, the template is of extreme use, as you will not have to search for pending duties while you are inducting. 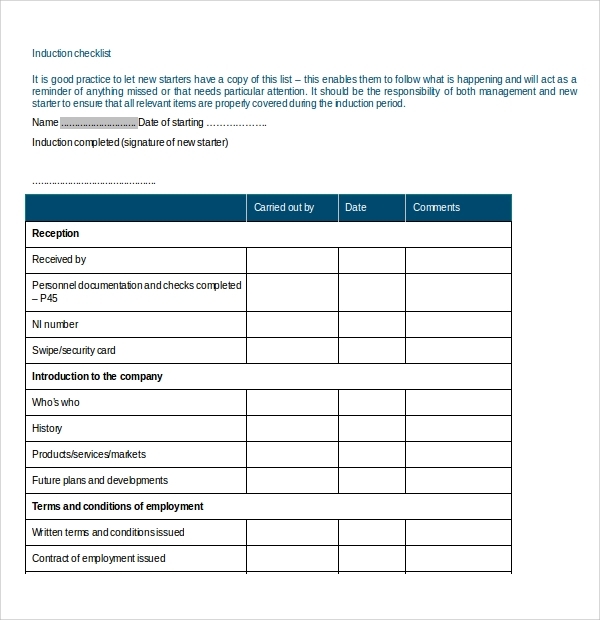 When contractors or sub-contractors would want the workers to get familiar with the site rules, and the OHS rules before they start their work, then this template comes very useful. The template will help them remember all points to be discussed with the site workers on the first day. 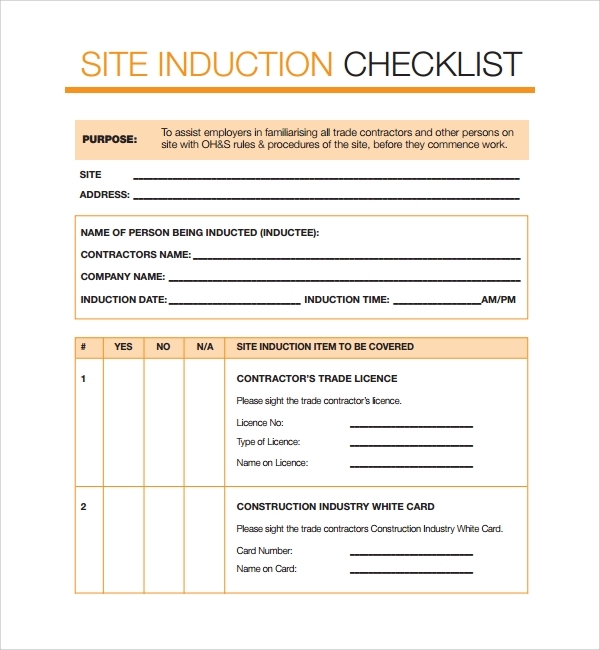 To induct the construction workers about the site and the duties and role, this template is a good reference. It will tell you all important things which you may otherwise forget to tell the construction workers. 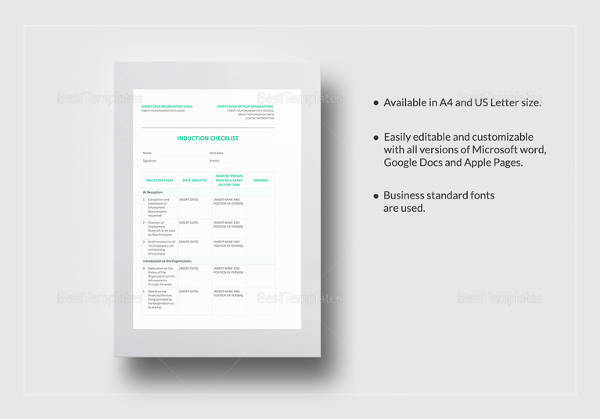 Yu can download the template online from great resources. 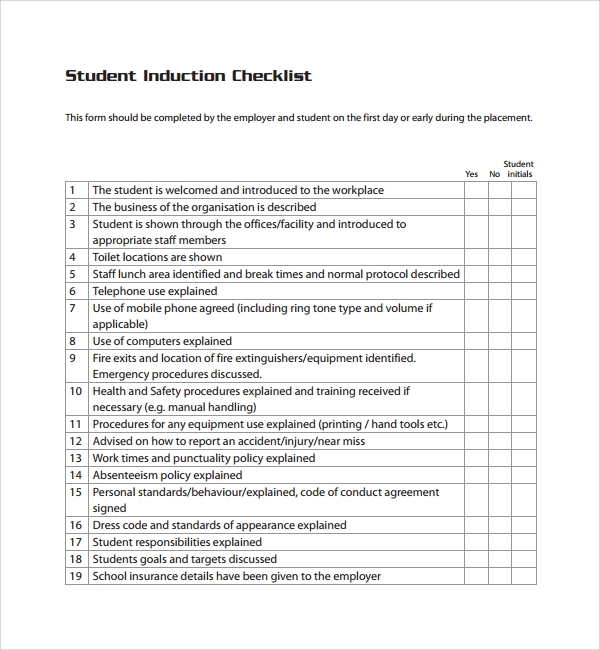 When students are introduced in an organization, then the inducting teacher or in charge can seek the help of the very helpful student induction checklist template. 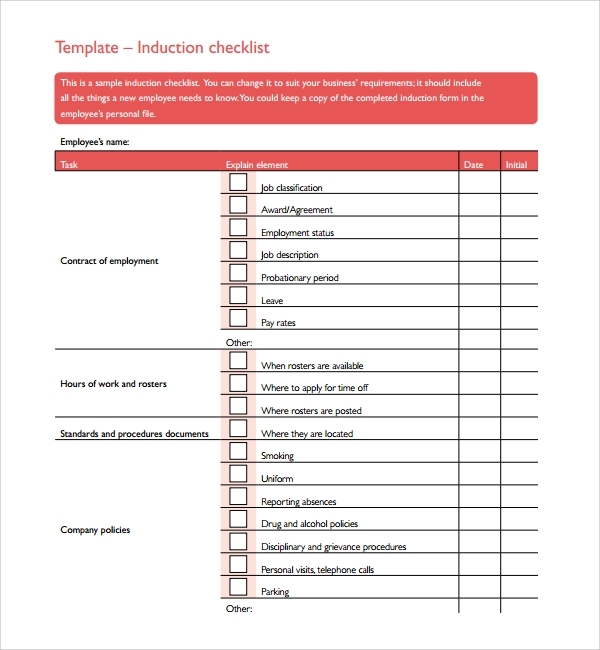 On completion of a nice induction session guided by a nice checklist template, the students would also feel comfortable in the new environment, and you will have raised confidence in the next session. 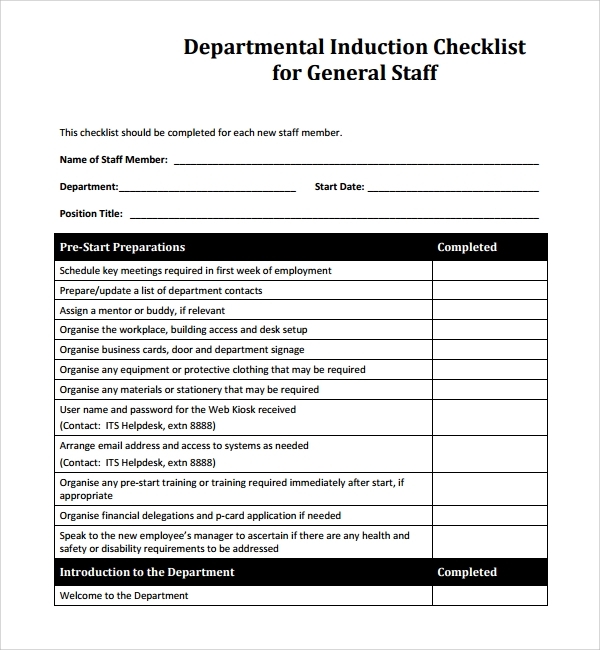 To get a good checklist template for the induction you are going to take charge of, you must first realize what kind of induction you will be conducting. As per the crowd you will be facing, and as per the job, the points of induction will differ. 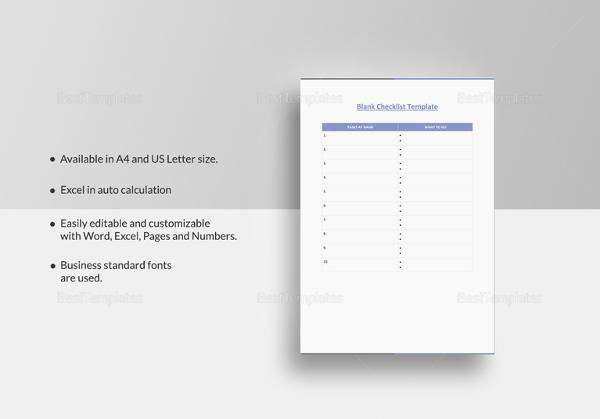 Job and role specific Wedding Planning Checklist Template are there, which you may use for the session, and you will get them free for download in easy document formats, which you can access in your tub, smartphone or computer. The online resources are rich with varied templates. 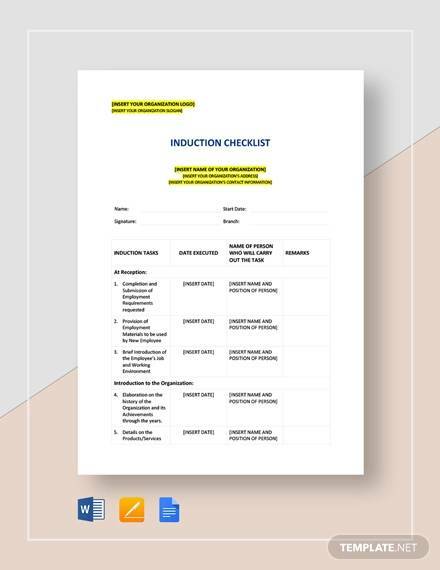 You will need the induction template checklist for making the process of public speaking and conducting the induction as smooth and systematic as possible. An induction needs you to speak to new faces, where your comments and instruction has value, as they will be following them or learning things from them for the future work they do with your organization. Therefore the job is about responsibility, and requires your concentration. 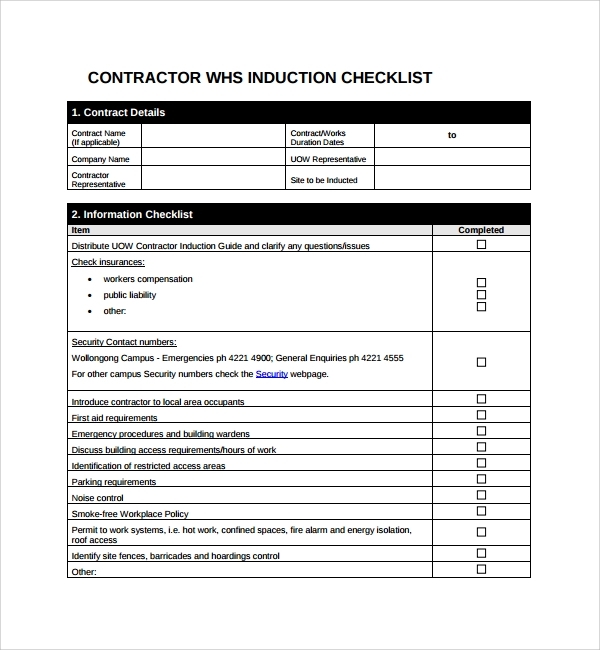 To Inspection Checklist Template make it easy on you, that you do not forget required things of discussion on the first day, you must be guided well by the checklist. Checklists always make a task easier by listing of points which you may otherwise forget. When it’s a major job role like inducting new staff or workers, etc., then it involves public speaking, and you get into a lot of work pressure because of that. The easy guidance you get from the checklist templates help solves the public speaking pressure and eases off the tension of remembering points.